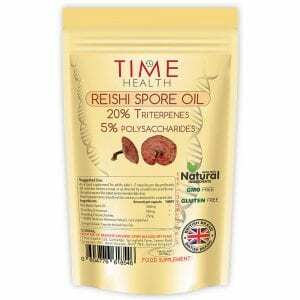 ✔️HIGH QUALITY REISHI SPORE OIL. Reishi spore oil contains some of the highest, most bio-available levels of triterpenes in any health supplement. ✔️OTHER PRODUCT AVAILABLE. 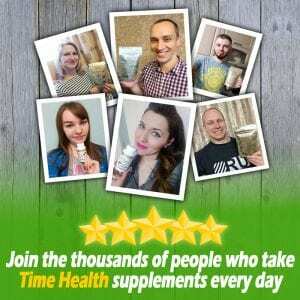 To see our full range of supplements, including reishi powders and capsules, visit our amazon seller page. Softgel made from fish gelatine. As a food supplement for adults, take 1-2 capsules per day preferably 30 minutes before a meal, or as directed by a healthcare practitioner. Do not exceed the stated recommended daily dose. 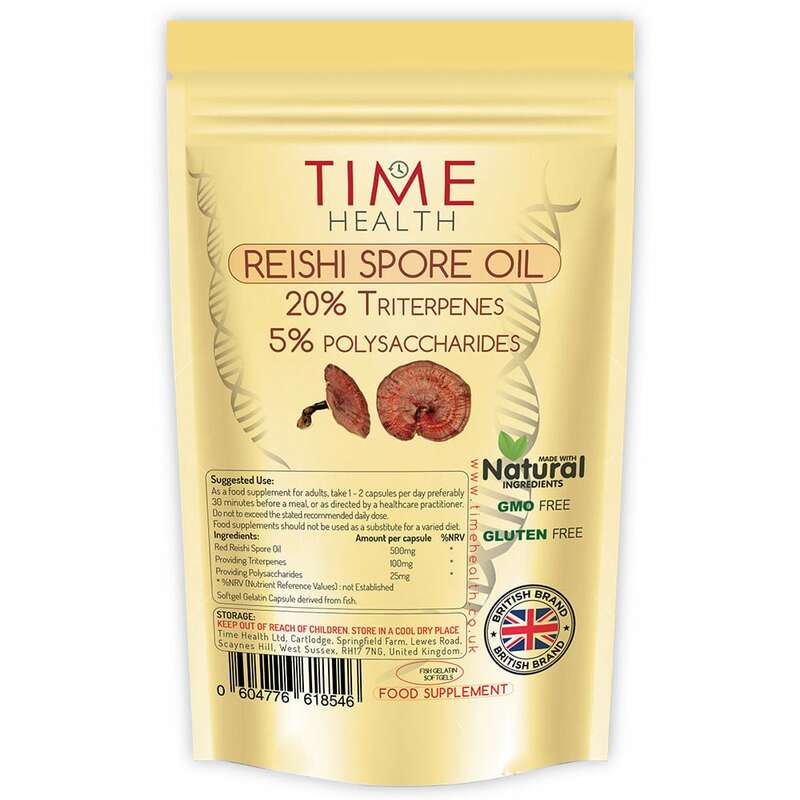 Reishi spore oil contains some of the highest, most bio-available levels of triterpenes in any health supplement. Mushrooms are fungi that bear spores which are for reproduction and at the end of their growing season, they release millions of spores. Studies have found them to contain the highest concentration of bioactive materials of the mushroom including triterpenes, more than the mushroom itself. Being called ‘lingzhi’ in Chinese, the traditional Chinese medicine has used Reishi mushrooms for over 2000 years. Though they had not extracted triterpenes or not used that word, they were able to hypothesize that a group of chemicals were responsible for these marvelous benefits. However, with advancing scientific studies and knowledge, today we have been able to identify and isolate these compounds which when used regularly can promote health and encourage a long life. 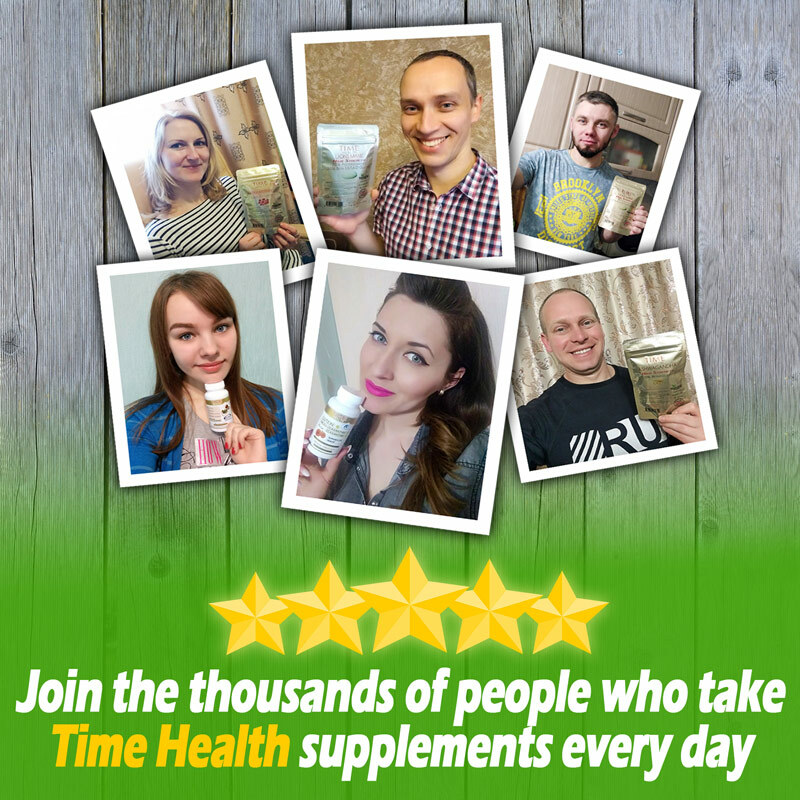 Appears to be a very high quality product, which doesn't surprise me - as everything from Time Health is right up there with the very best.